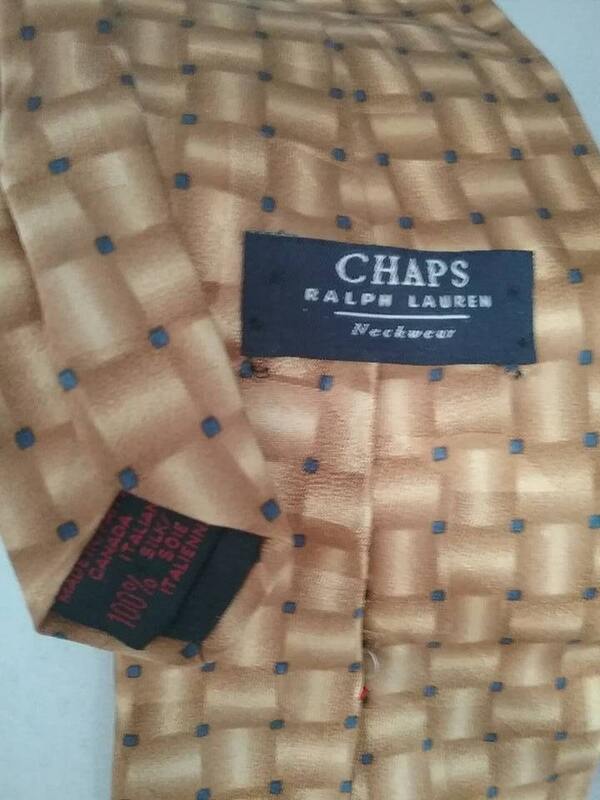 Men's Vintage Tie, Chaps Ralph Lauren Italian Silk. 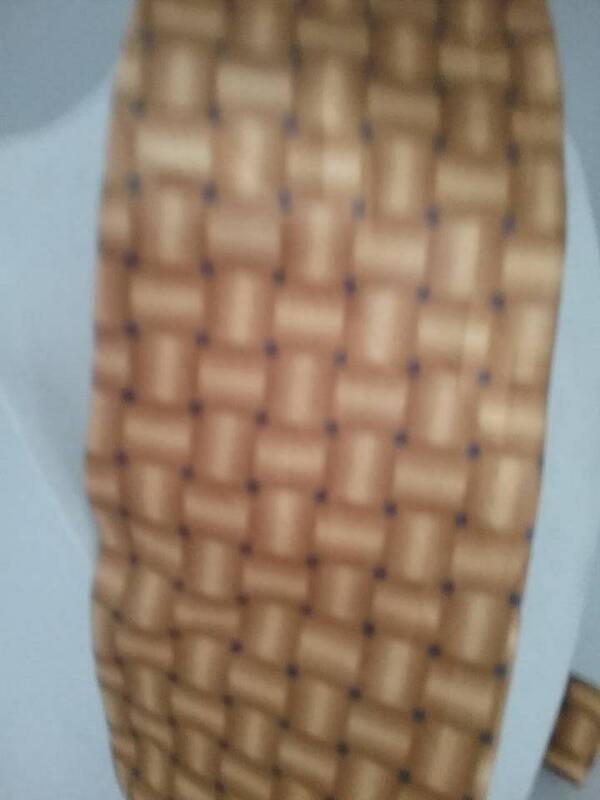 Chaps Ralph Lauren classic gold colored 100% silk men's tie. 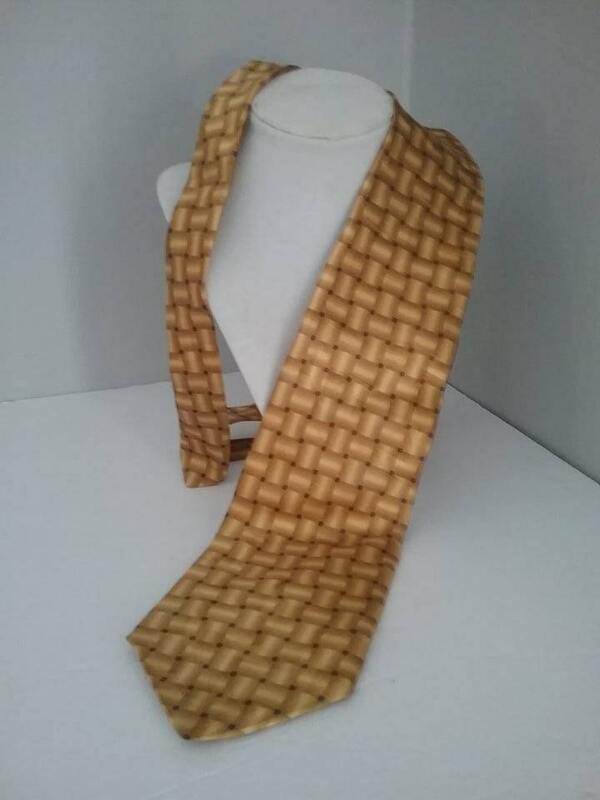 Beautiful designer tie in excellent vintage condition. 100% Italian silk, made in Canada. 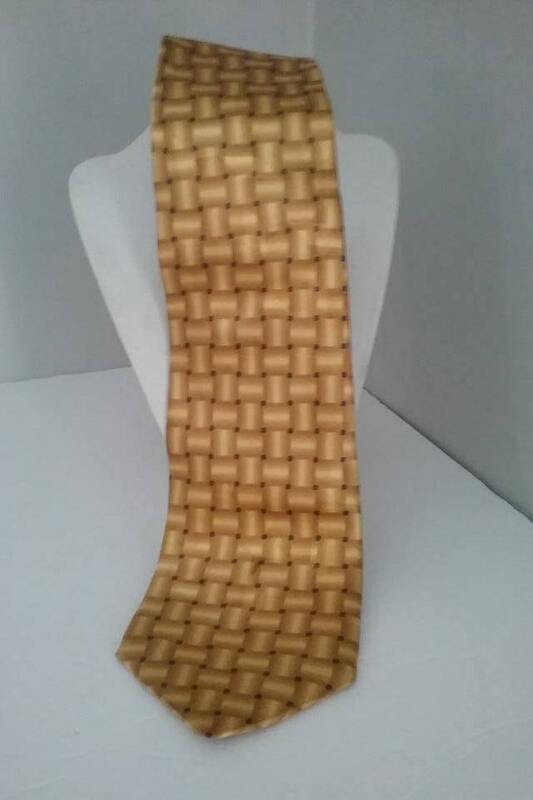 4" wide at widest part, and 56" length, Beautiful gold colors weaved through each other leaving a blue/grey square at cross overs. 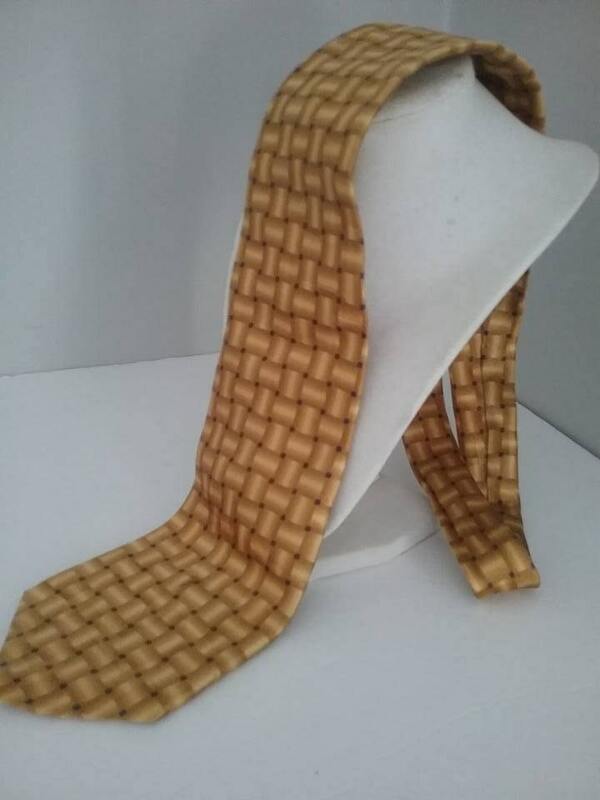 A very handsome tie.